Scientific Journal of Informatics (p-ISSN 2407-7658 | e-ISSN 2460-0040) published by the Department of Computer Science, Universitas Negeri Semarang, a scientific journal of Information Systems and Information Technology which includes scholarly writings on pure research and applied research in the field of information systems and information technology as well as a review-general review of the development of the theory, methods, and related applied sciences. 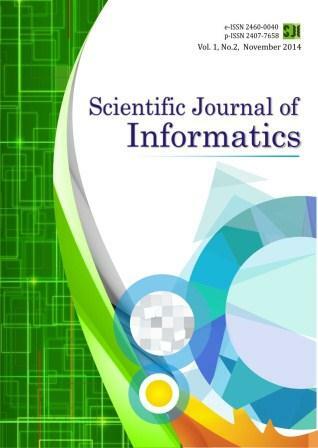 We cordially invite you to submit your valuable research work for publication in Scientific Journal of Informatics. You may submit your manuscript in MS Word format by simply online submission through our system. The manuscript submitted to SJI willl be peer-reviewed and evaluated based on originality, technical quality, structure, and relevance. Manuscripts should be prepared following Author Guidelines of SJI.